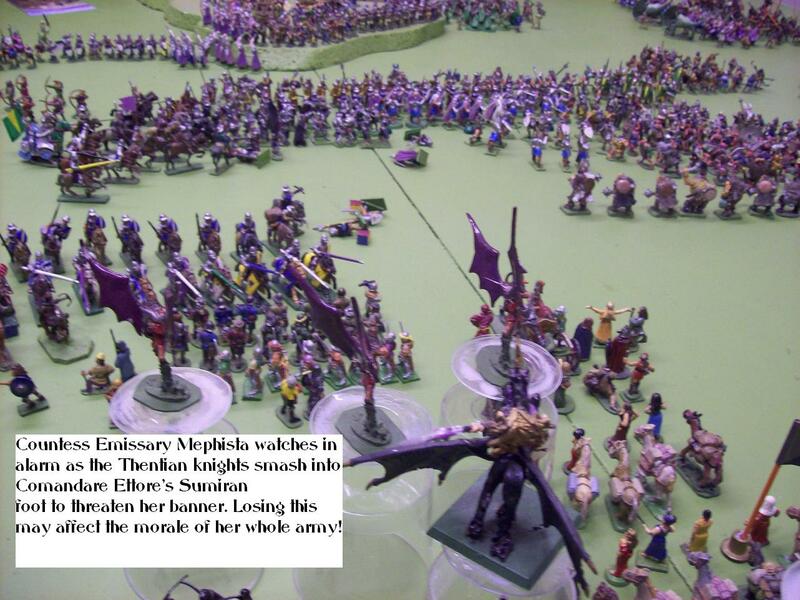 The Chaotic Host led by the great Witch Mephista were mustered and the greatness of their numbers was beyond counting. 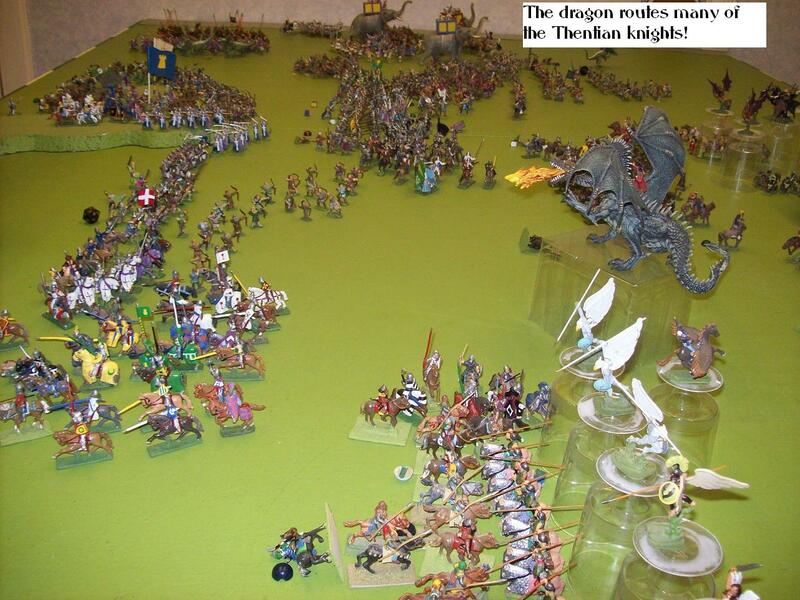 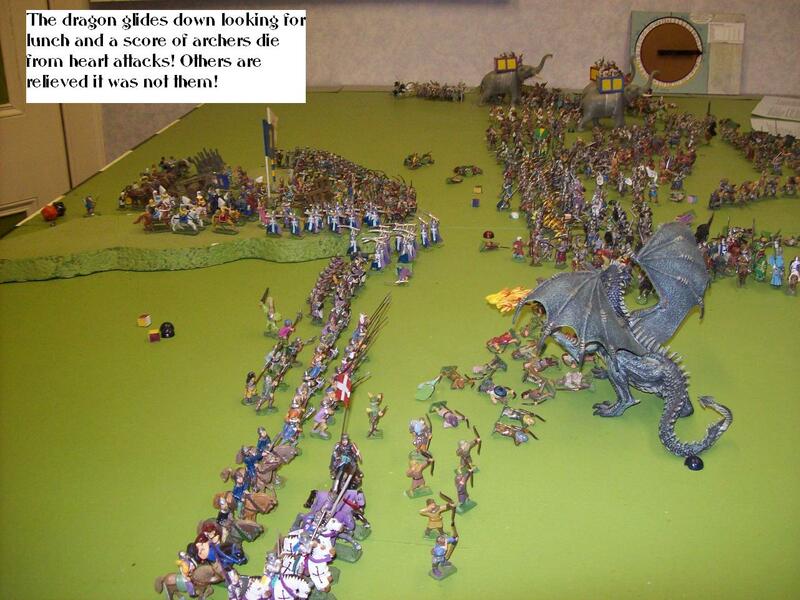 There were Magh from the Highlands, Orcs, Goblins, Huns, Unholy Order of Hagoth and even a mighty two headed dragon. 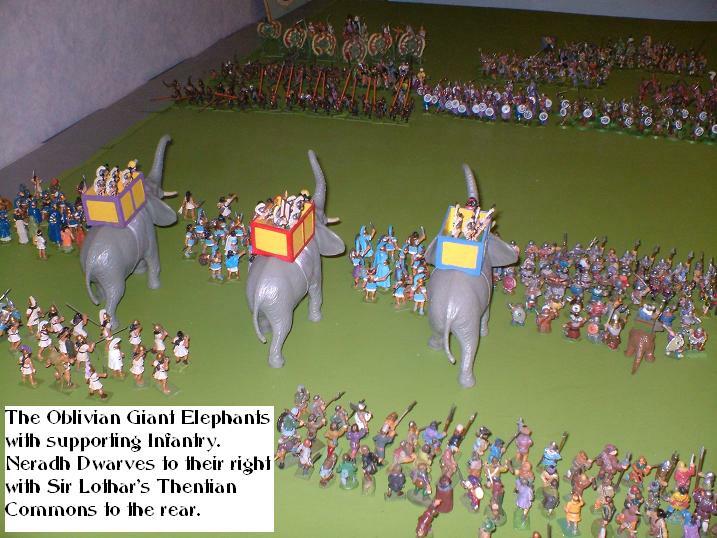 They assembled and with drums beating they marched on Thentis. 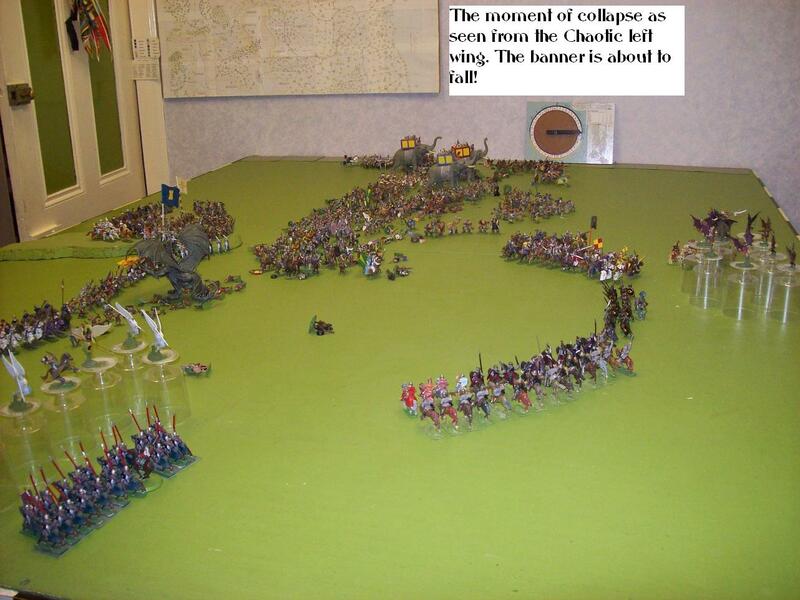 The very earth trembled at their step. 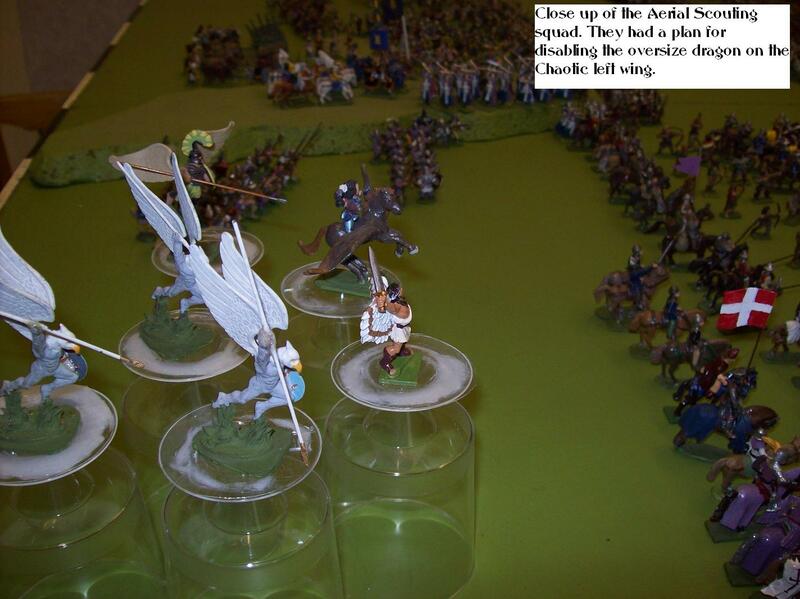 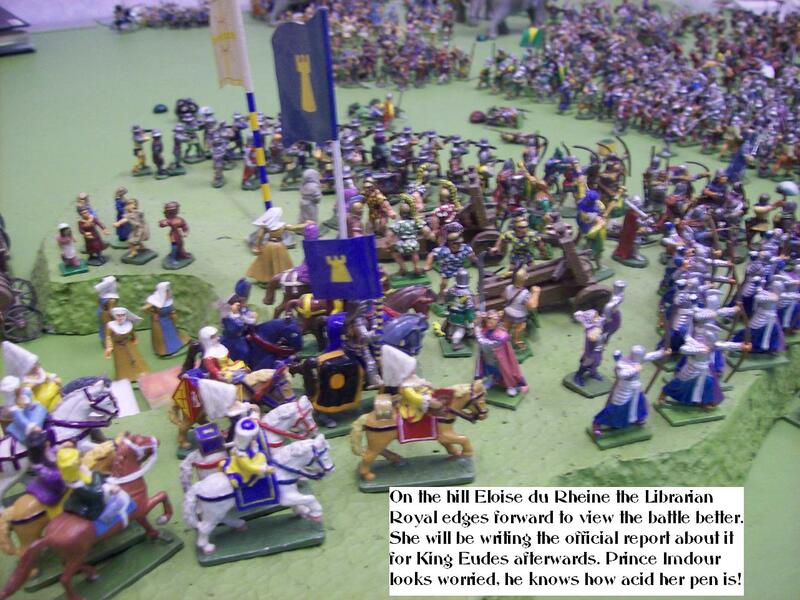 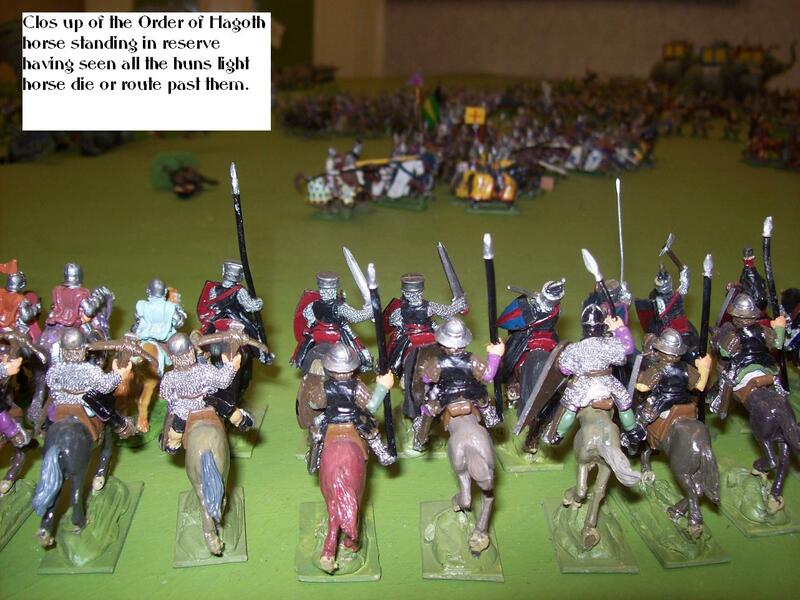 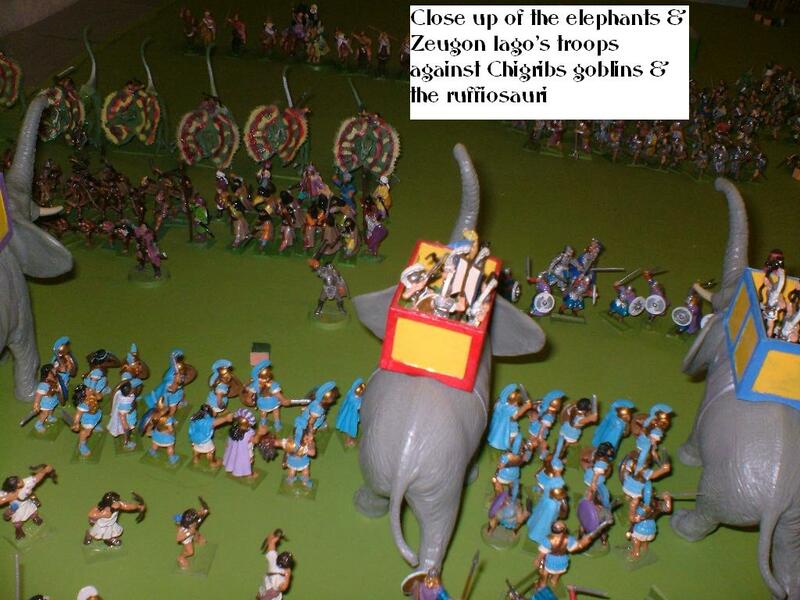 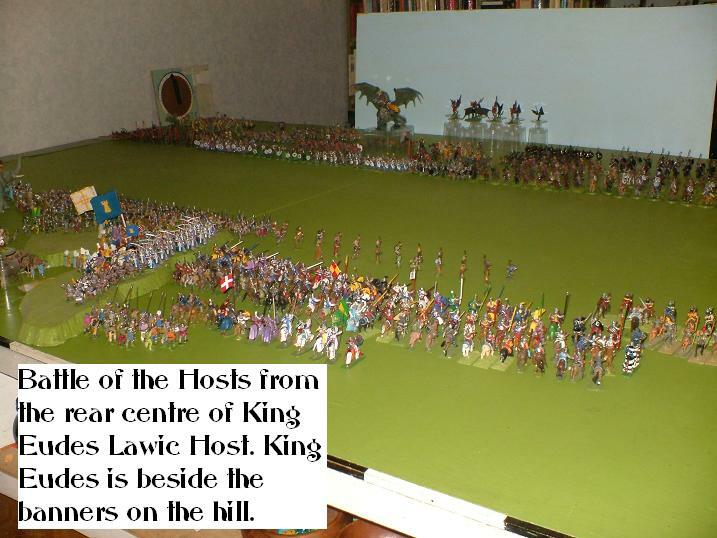 King Eudes of Thentis sent out despatch riders to all his lands and the rulers of the Lawic Lands. 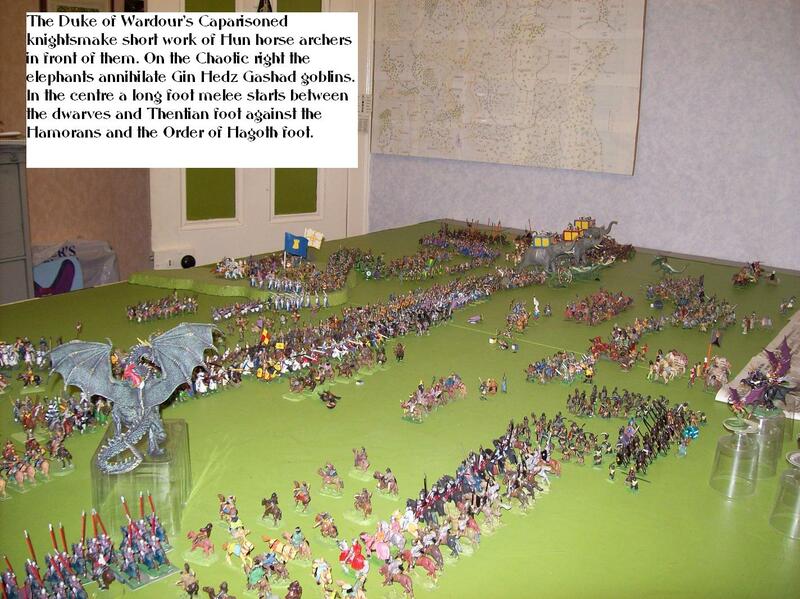 Many answered his call - dwarves, Elves the War Olifants of Oblivia and the Chivalry of Thentis, Perigord and Bara. 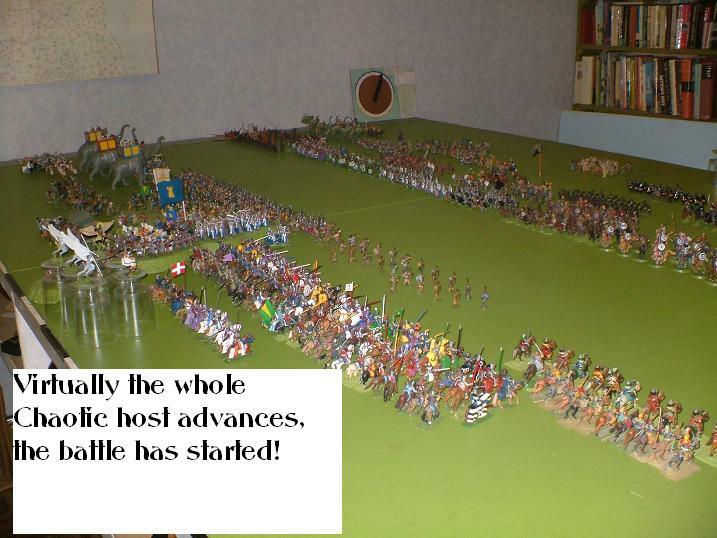 And the numbers of the Host were many. 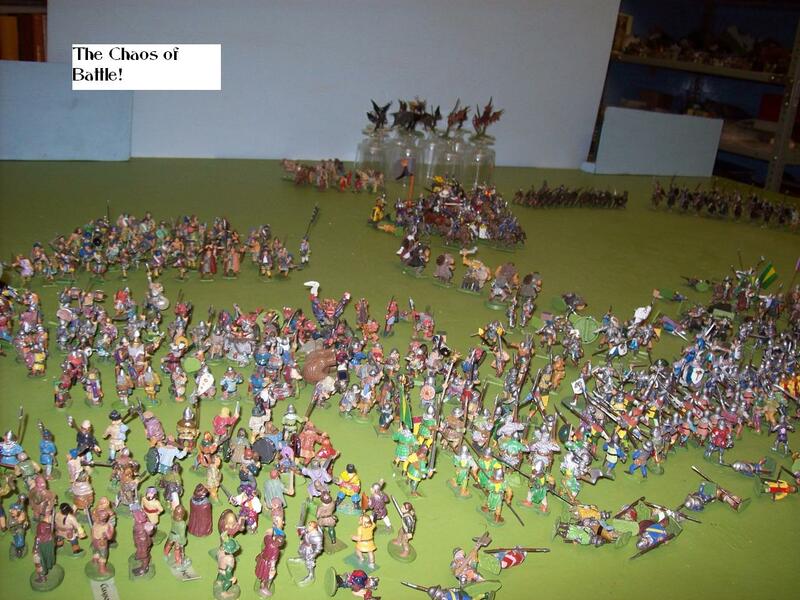 The host faced the Evil of Chaos! 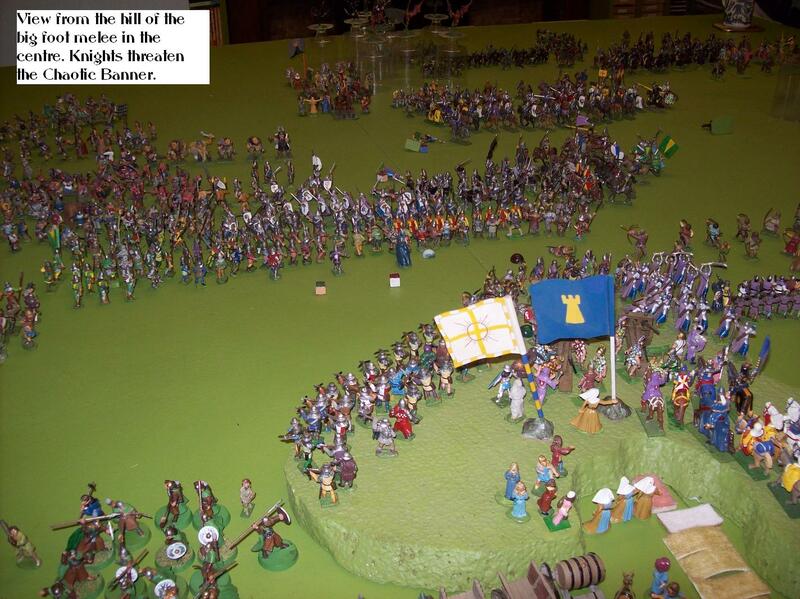 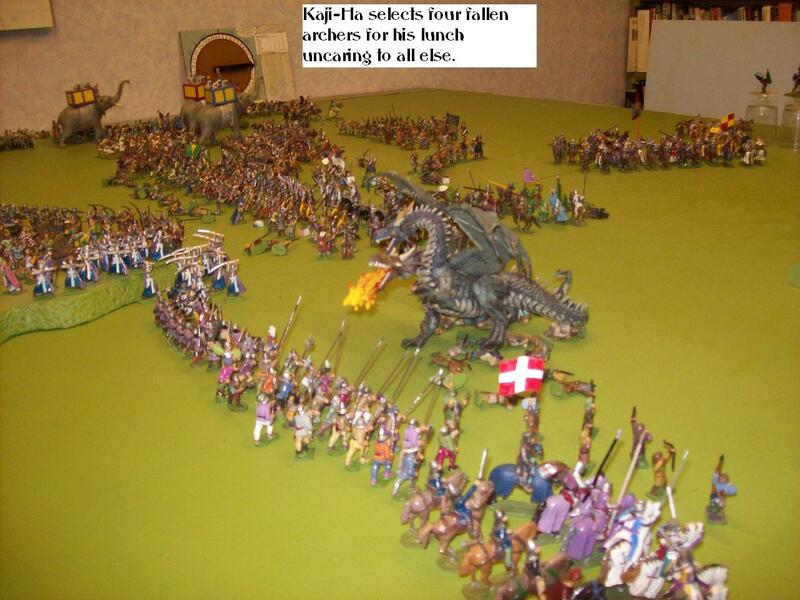 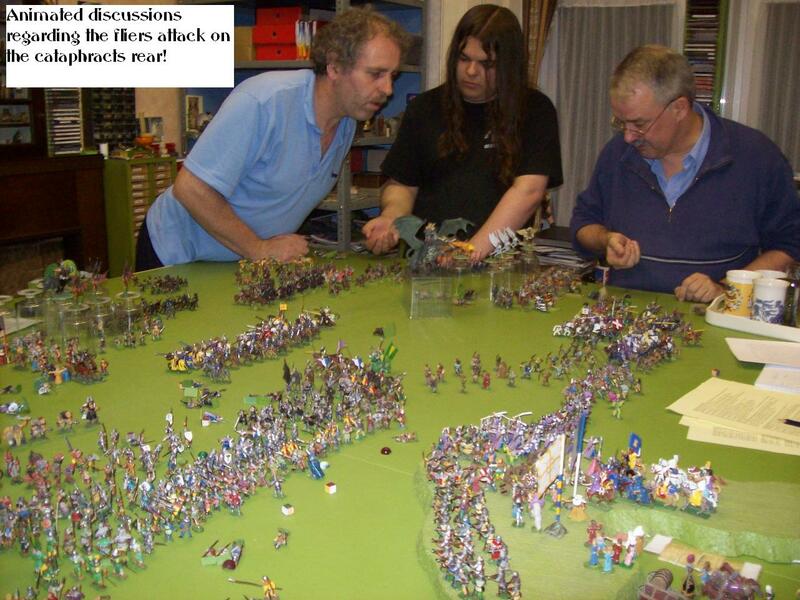 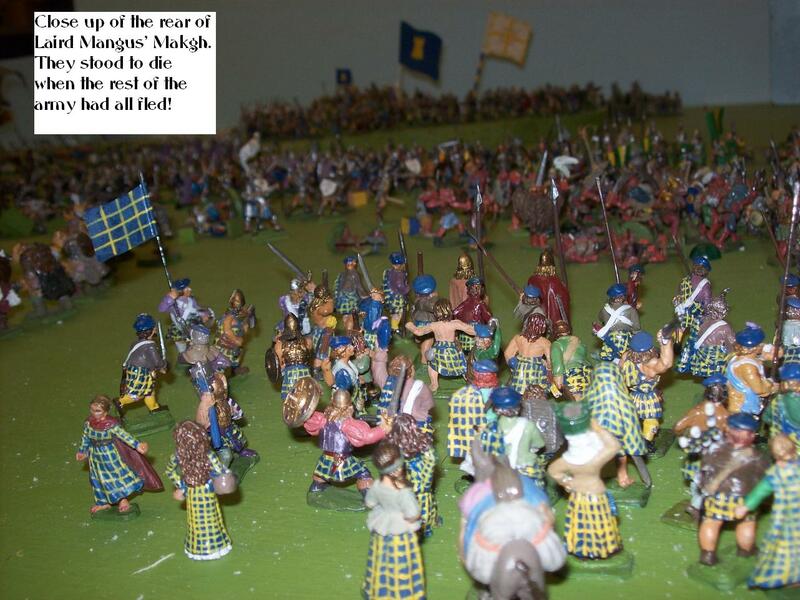 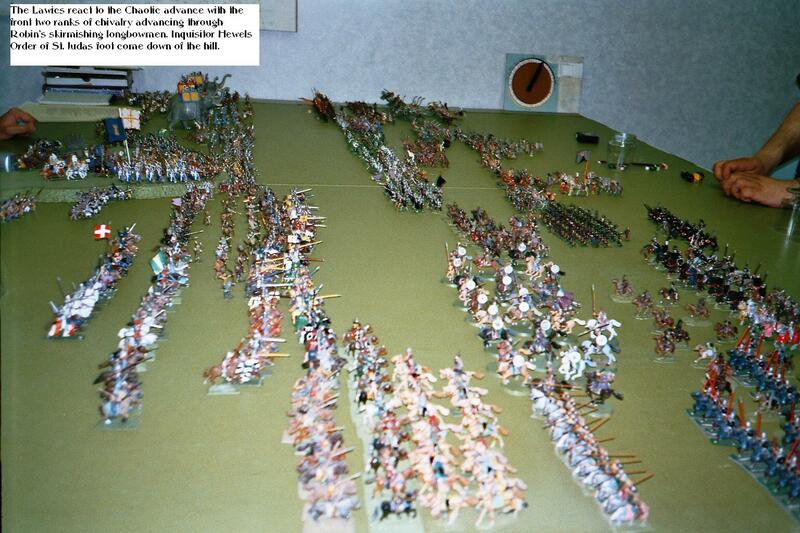 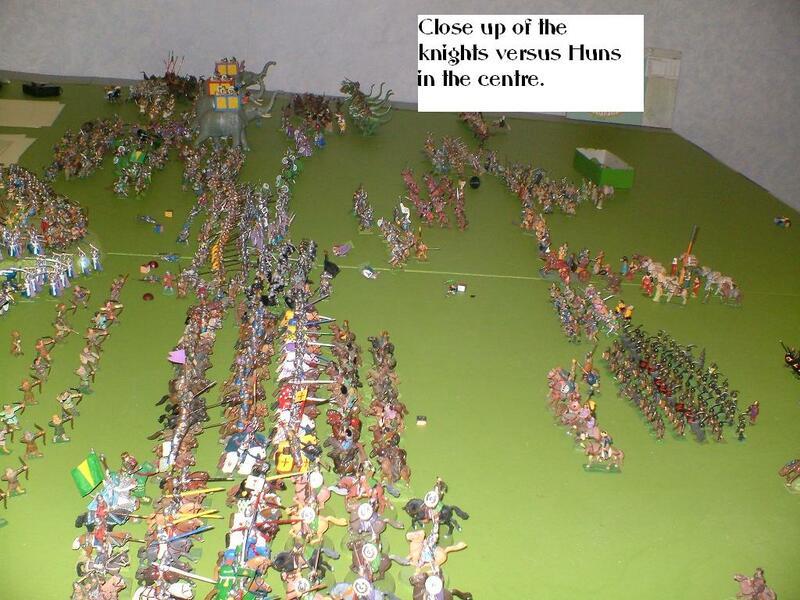 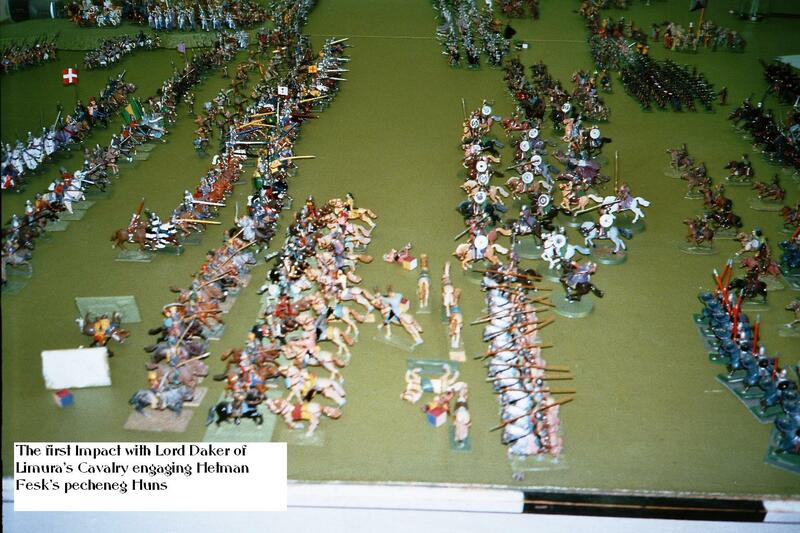 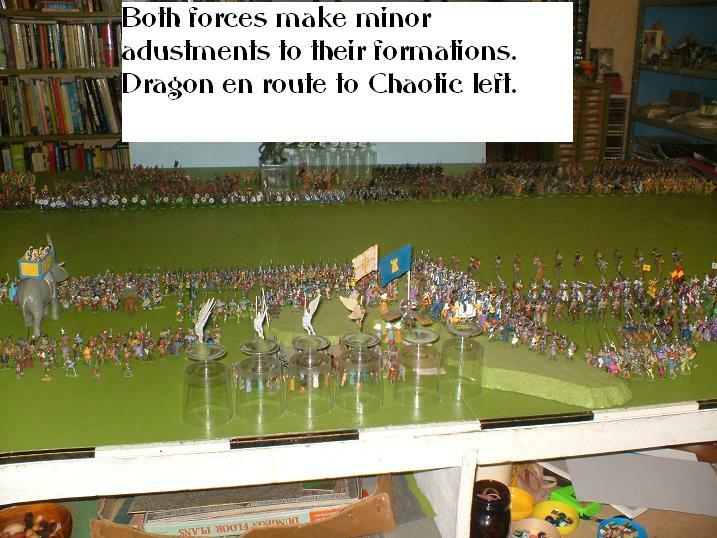 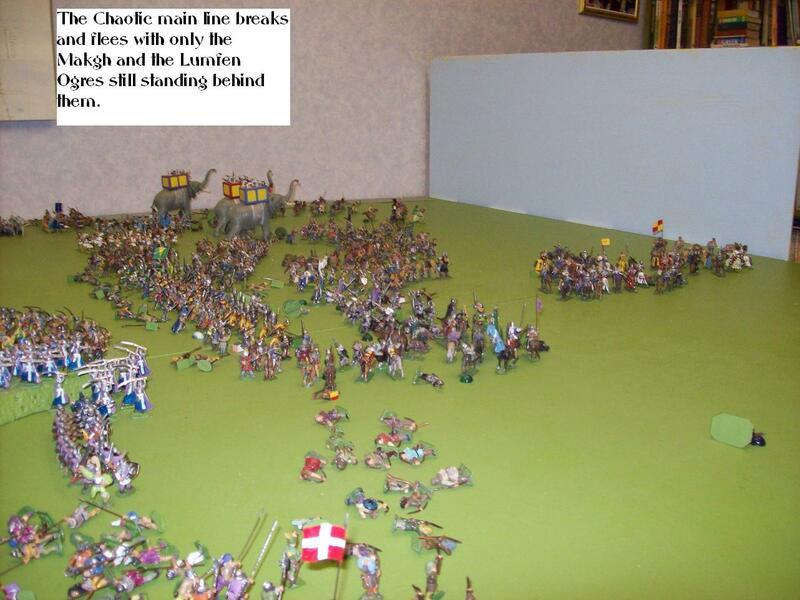 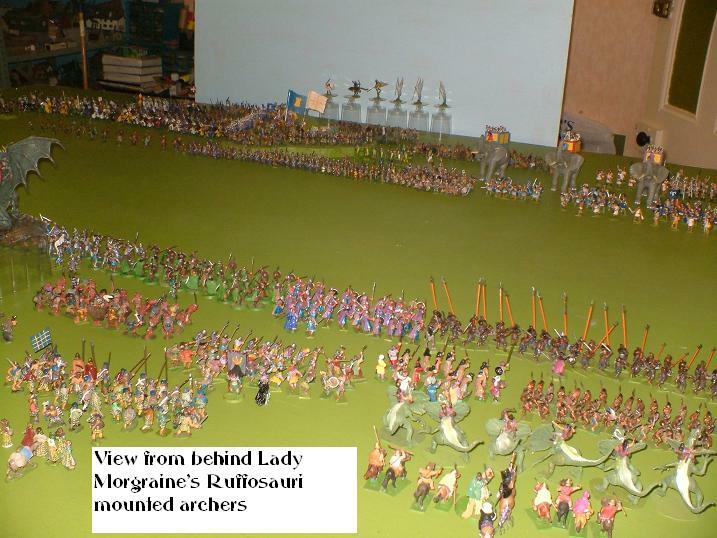 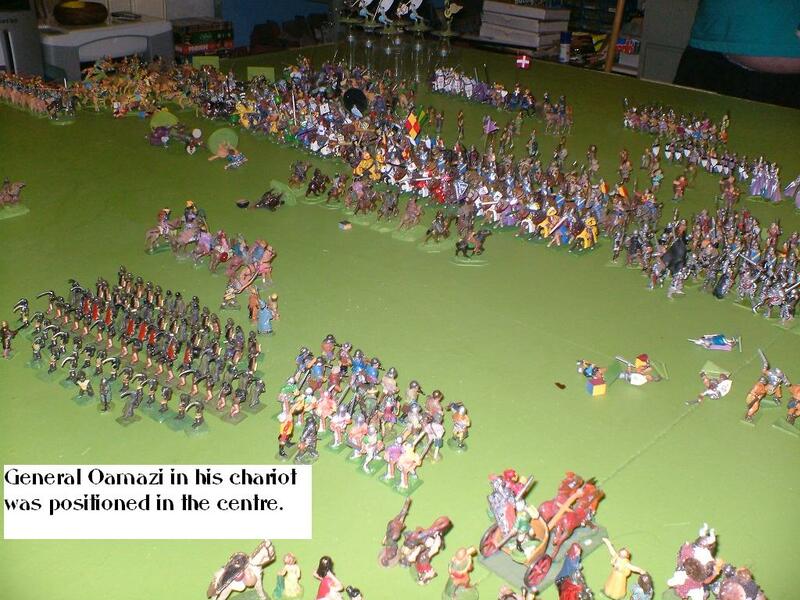 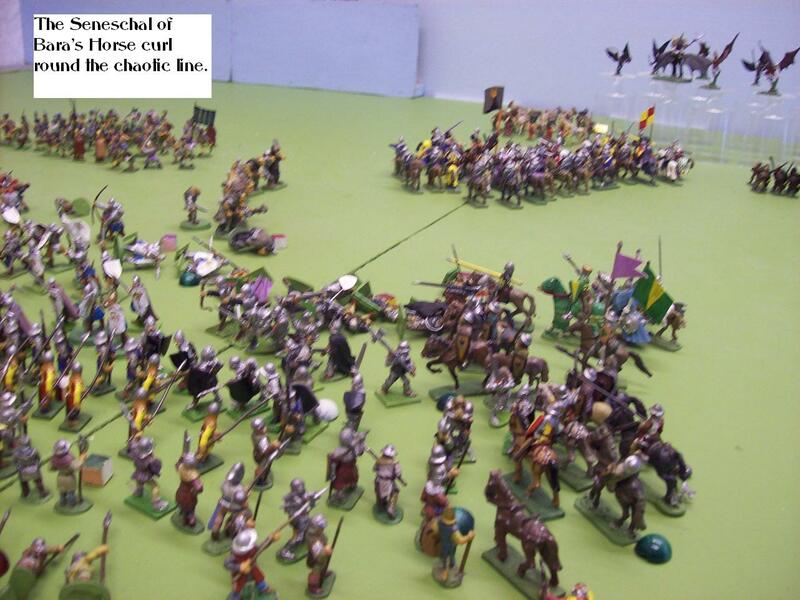 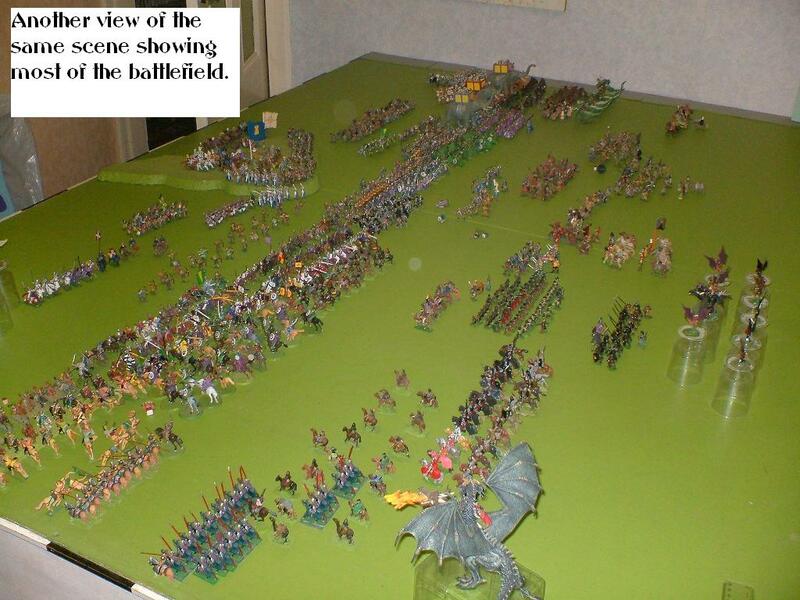 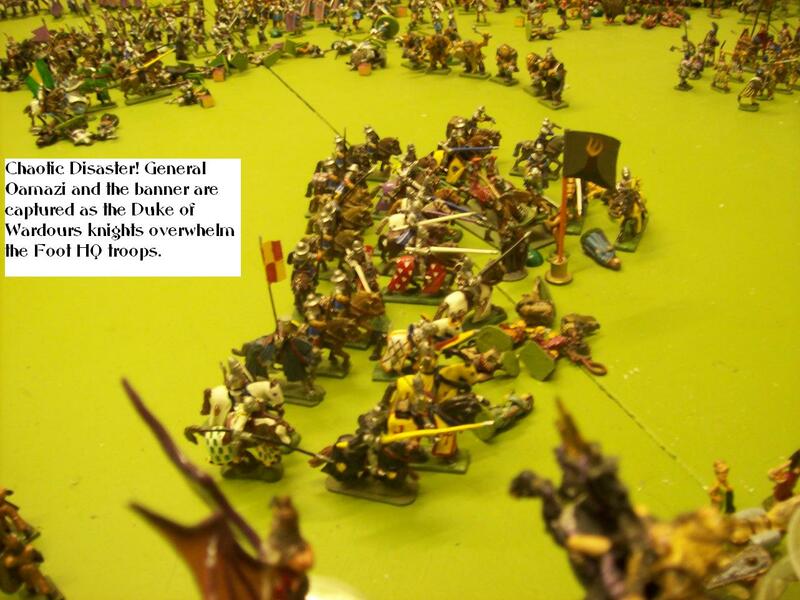 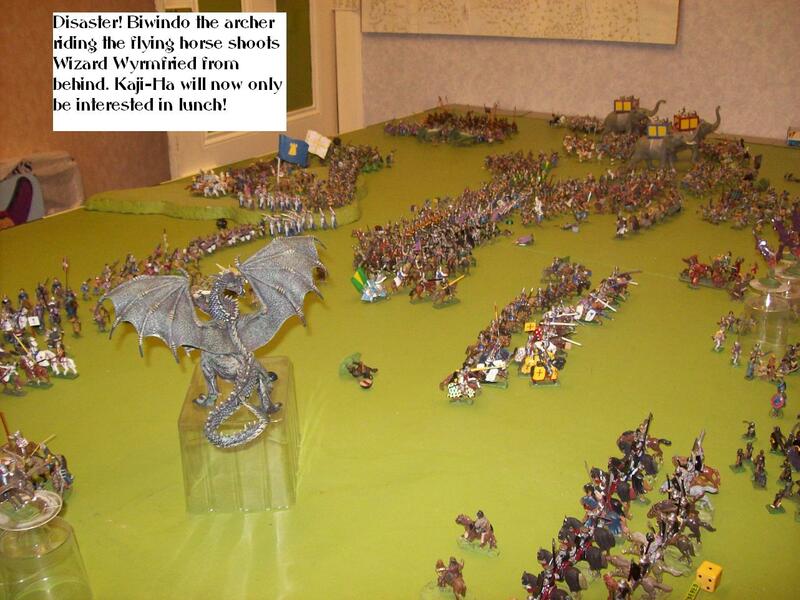 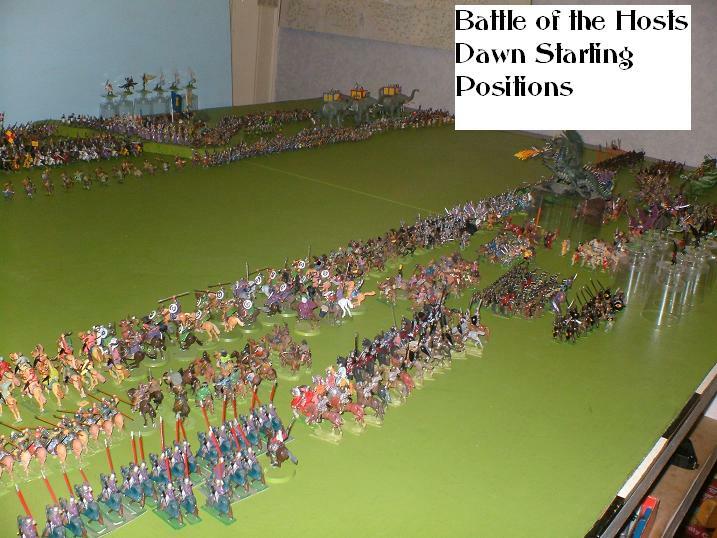 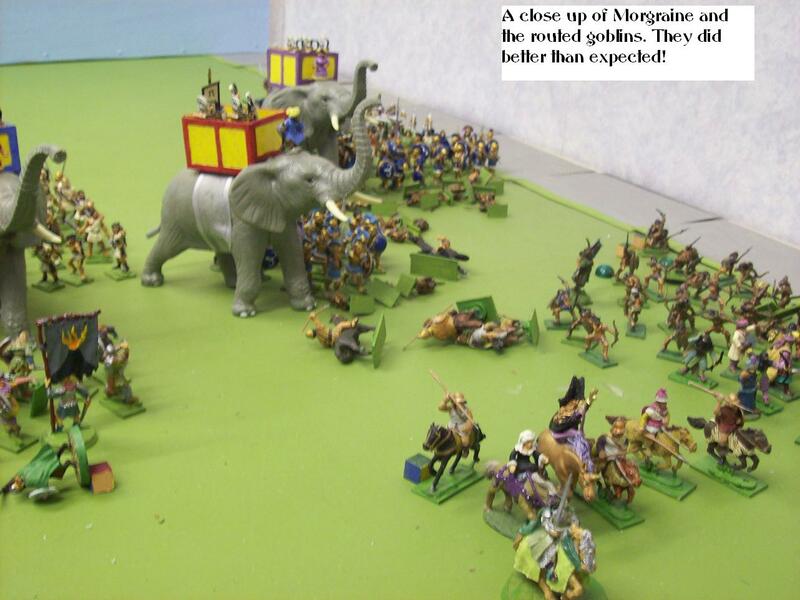 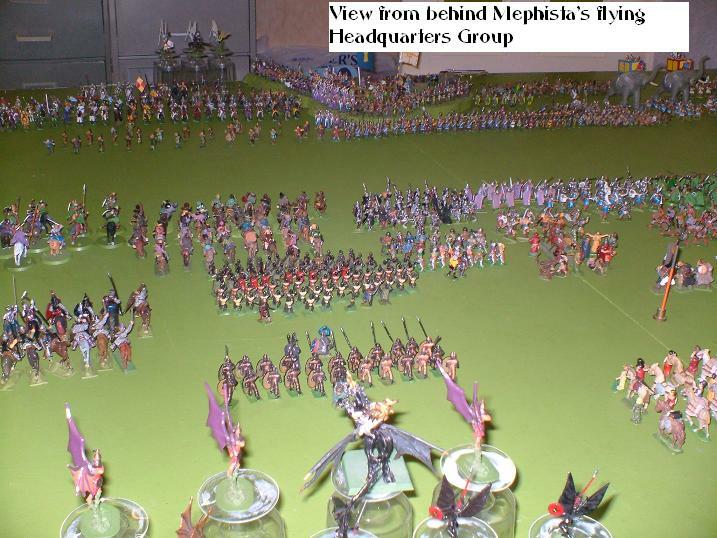 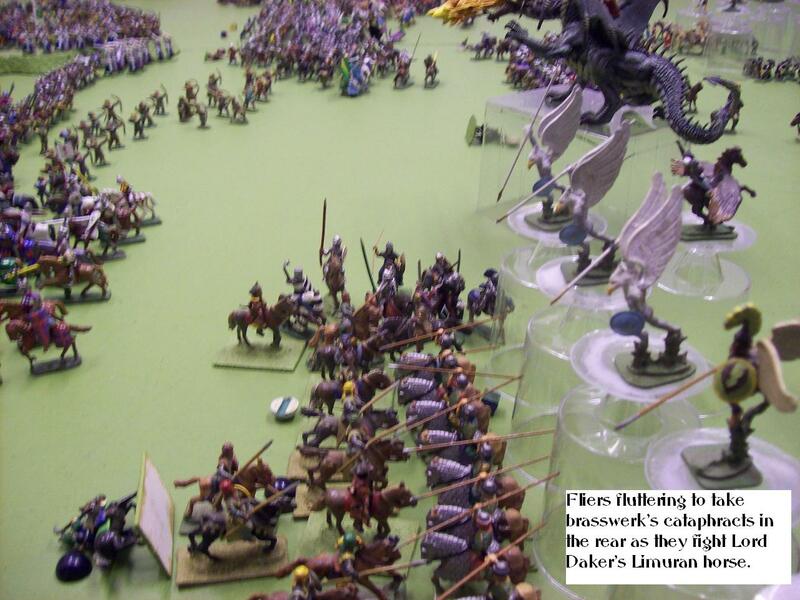 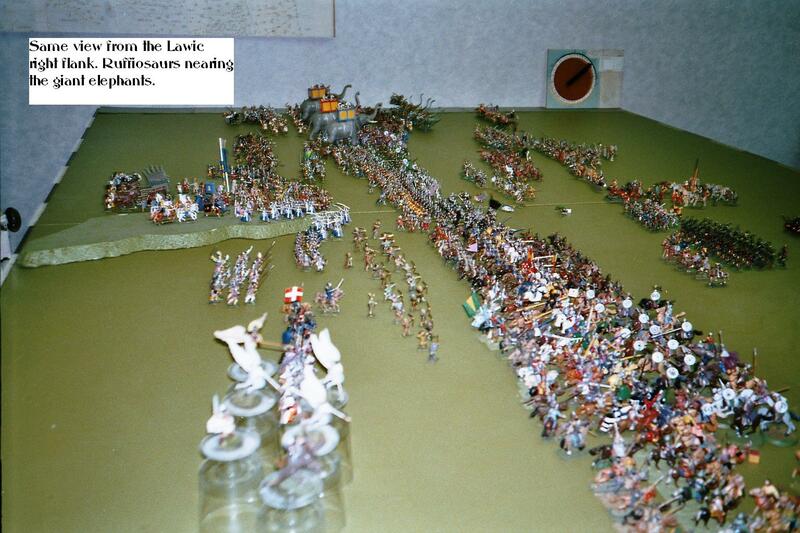 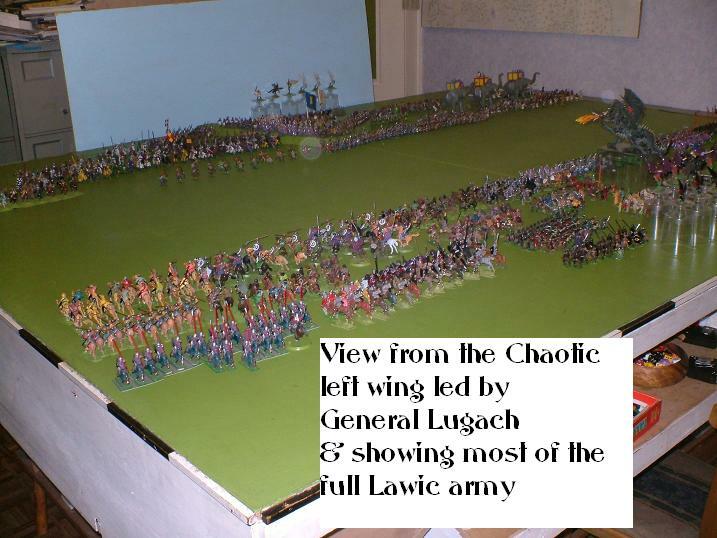 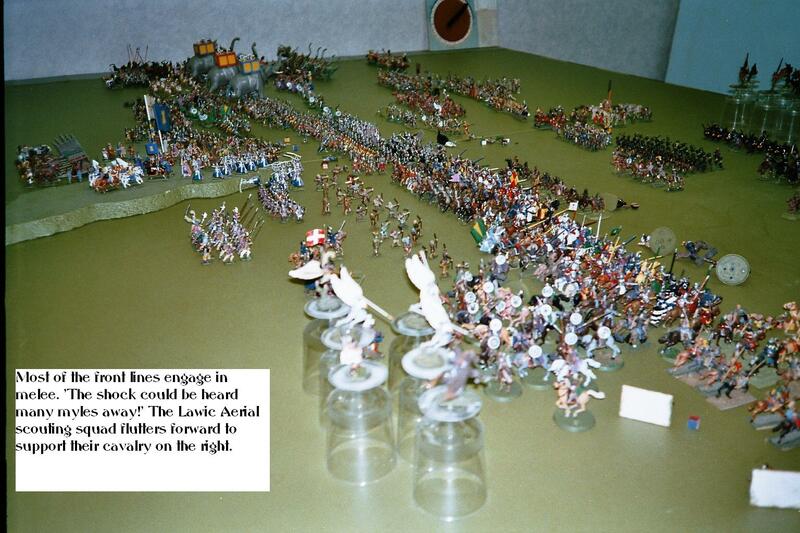 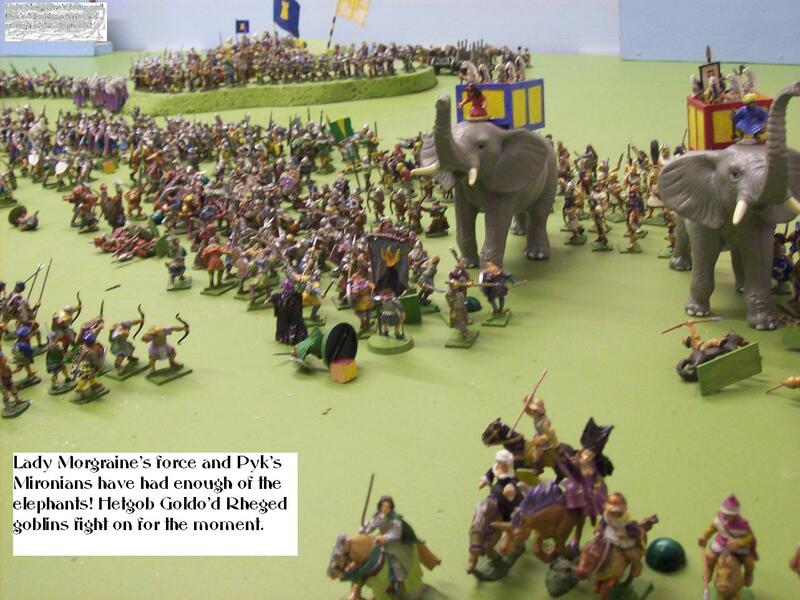 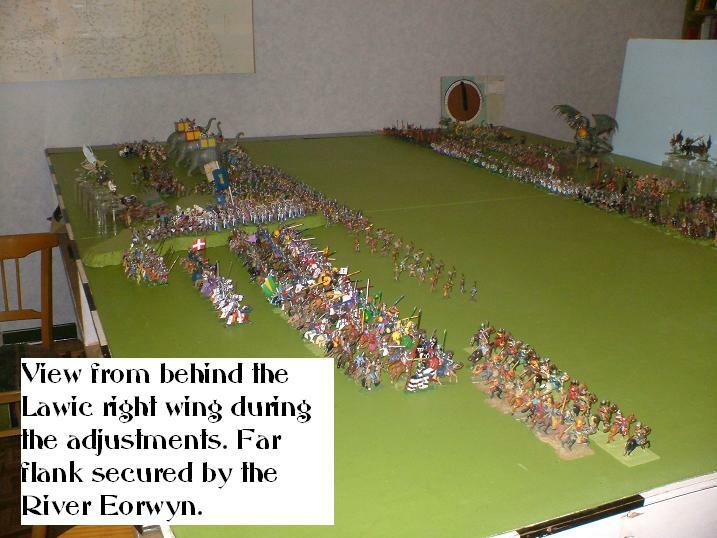 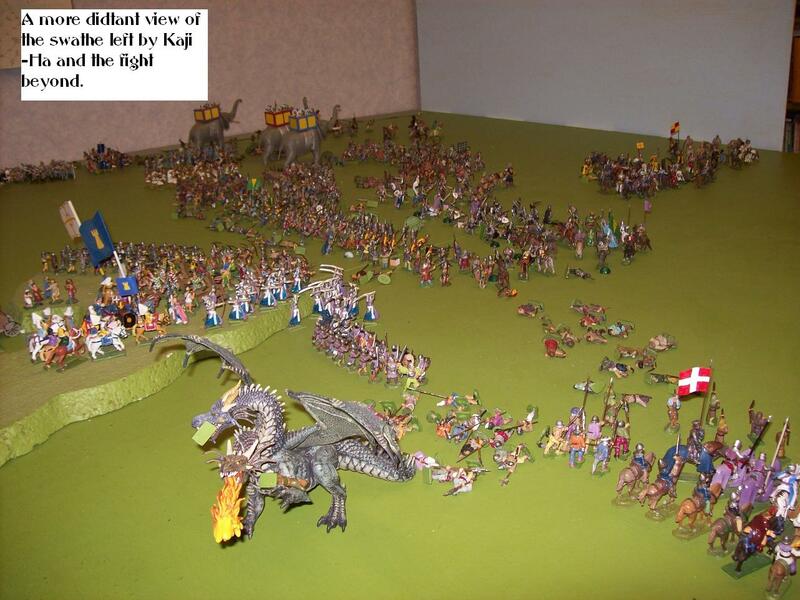 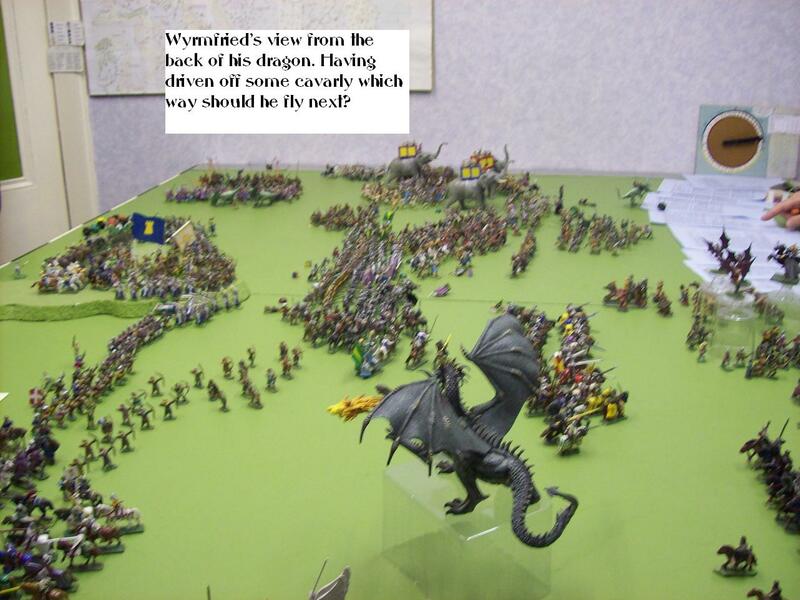 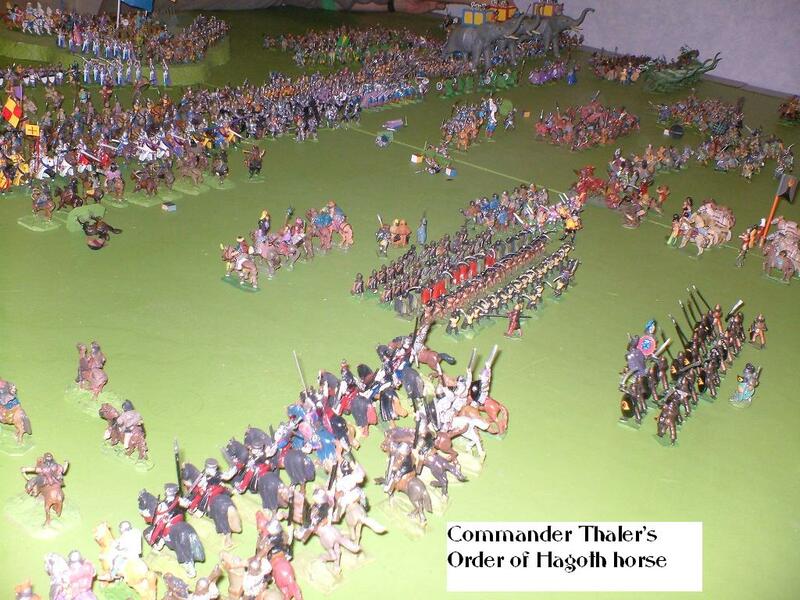 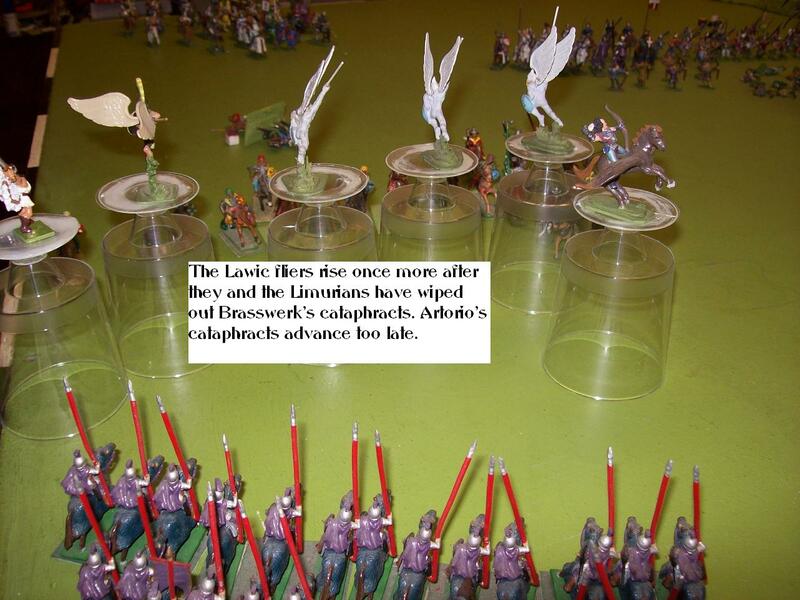 Over 1600 model soldiers do battle for Morval Earth! 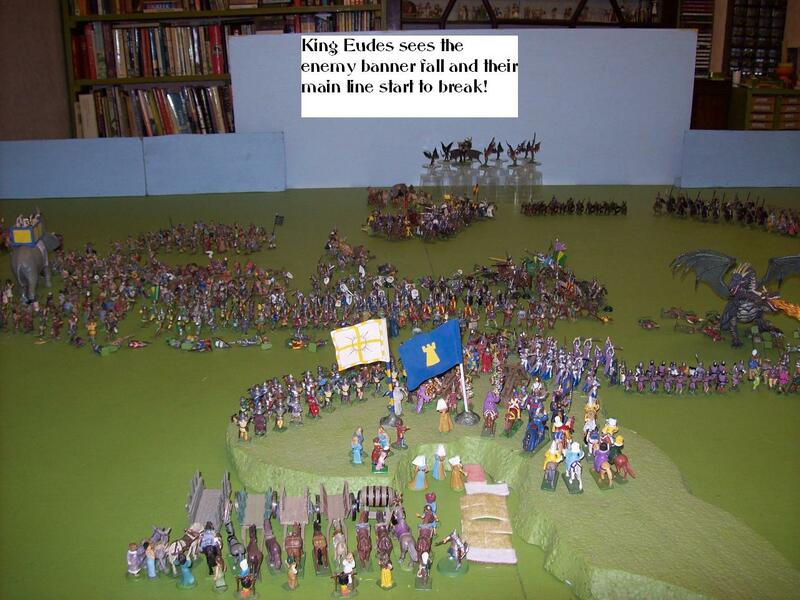 King Eudes Triumphant! 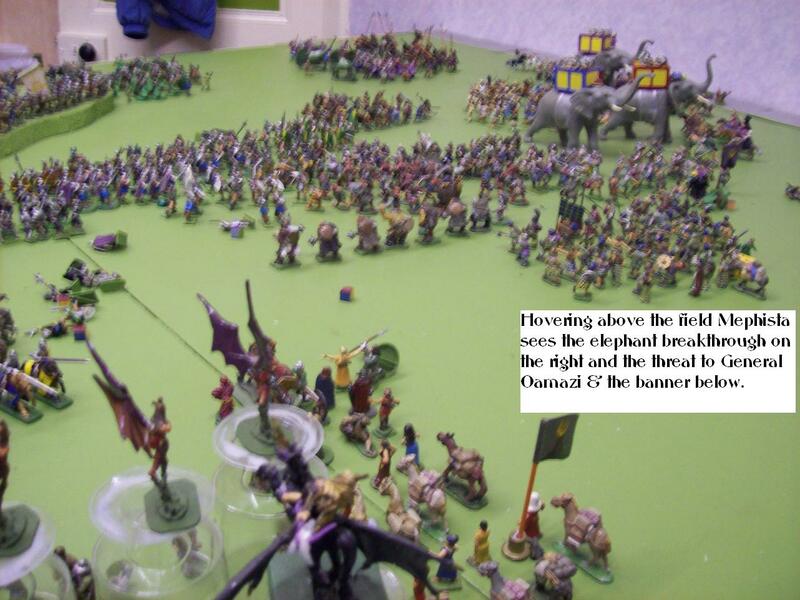 A victory worthy of many a song. 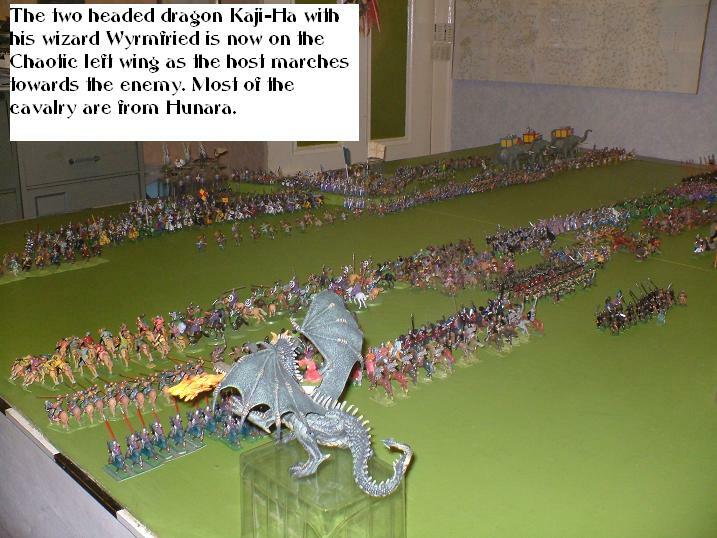 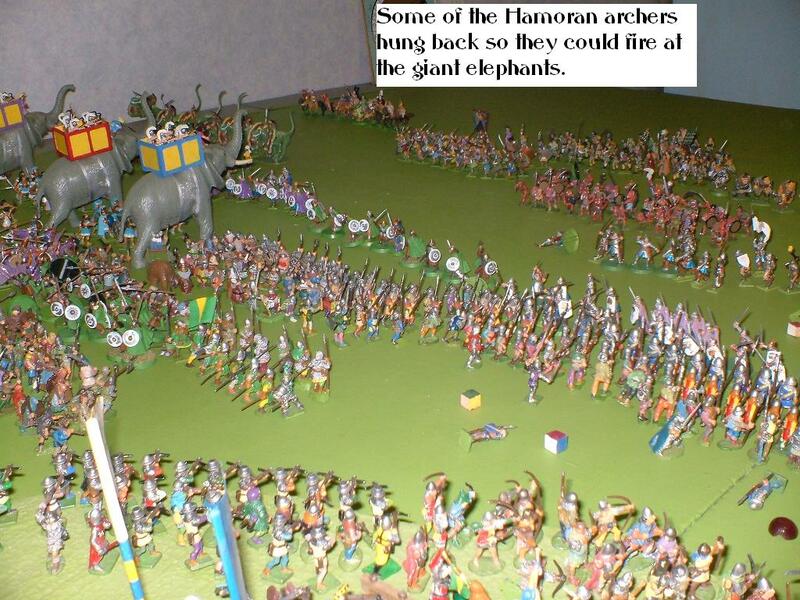 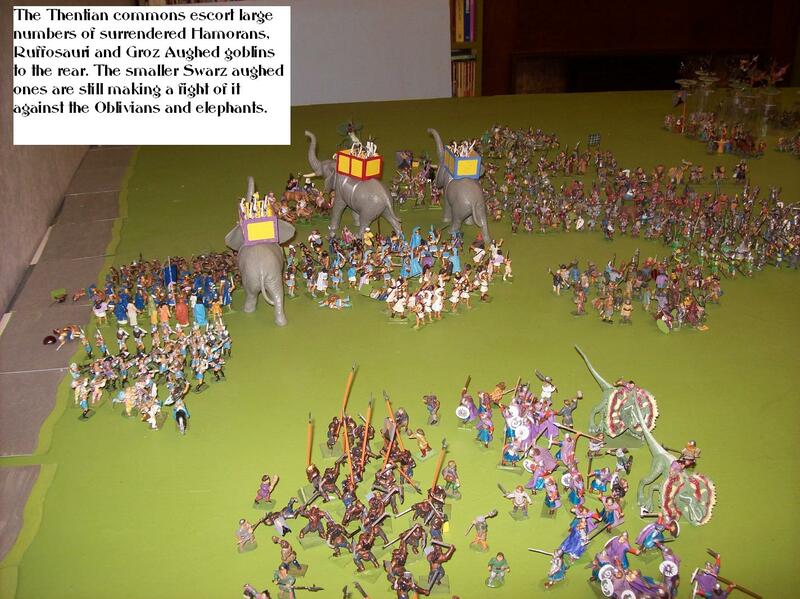 There are figures from Games Workshop, Asgard, Miniature Figurines, Citadel, Reaper, Lamming, Scleich, Amazon, Wargames Foundry, Irregular, Warrior, Britains (Elephants), dinosaur toys and many more. 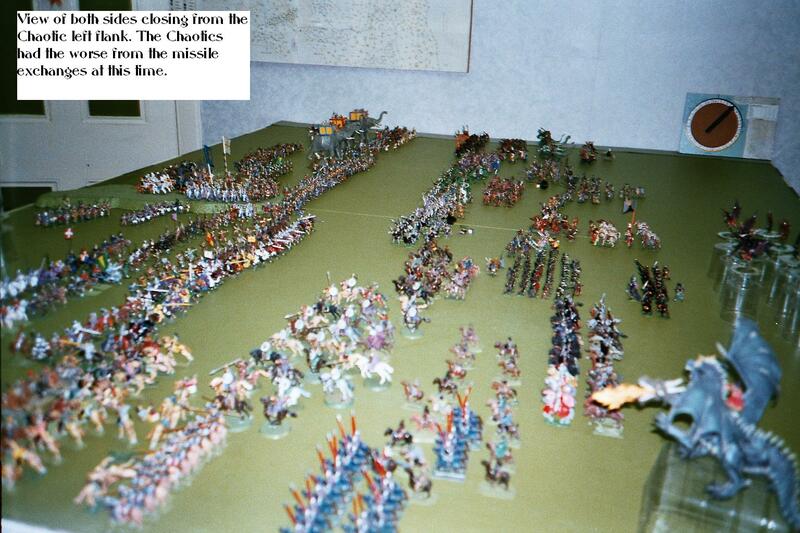 Many date back 35 years. 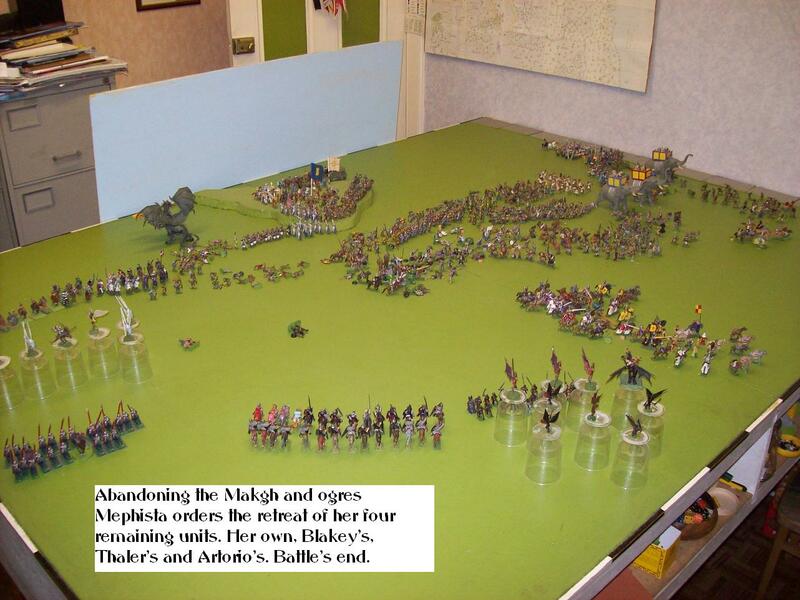 Those who are observant will see some of the original Minifig Lord of the Rings figures.